Our next stop was to see the “Jesus Boat.”Â It was fascinating and one of my favorite sites of the trip. 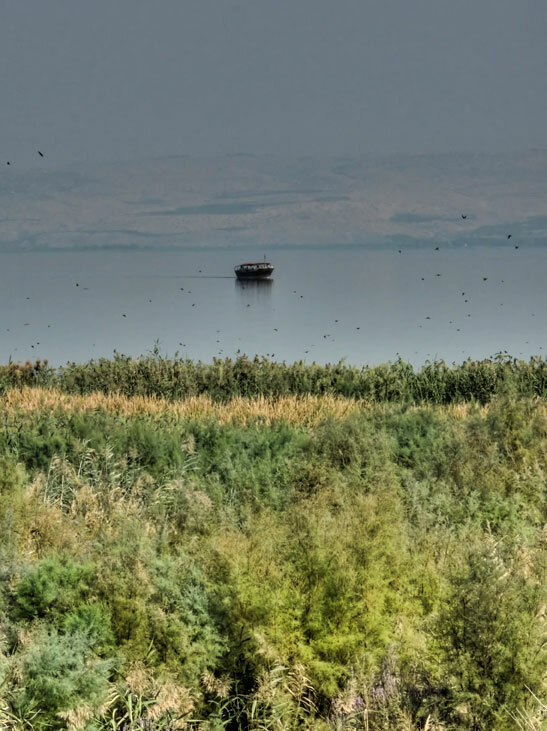 The “Jesus Boat” is an ancient fishing boat which was discovered on the north-west shore of the Sea of Galilee.Â The remains of the boat, which are 27 feet long and 7.5 feet wide, first appeared during a drought in 1986, when the waters of the Sea receded. Innovative and sophisticated techniques were required for lifting and moving the boat. First, a massive dike was built around the site to prevent the lake from inundating it, while pumps were used to keep the groundwater out. The wood had to be kept wet during the removal of the silt from inside the hull, which was then strengthened with fiberglass and filled with polyurethane. Tunnels were dug under the boat and its sides strengthened. When the extremely fragile remains of the boat were safely packed, water was pumped into the big pit that had been created during the excavation, and the boat was floated to shore. 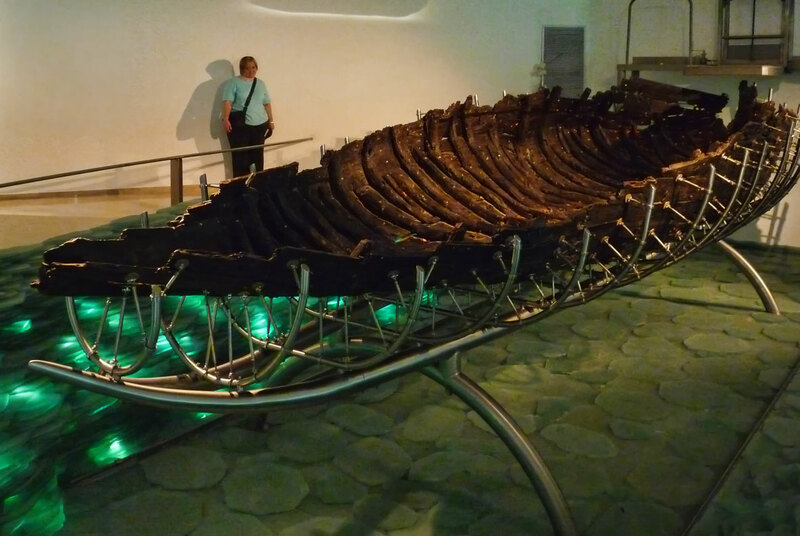 It was placed in a specially built conservation pool at the Yigal Allon Museum of Kibbutz Ginosar, where the poly- urethane casing was removed and the boat re-submerged in water. In a process which took several years, synthetic wax was added to the wood, to give it sufficient structural strength for display outside the pool. The boat was found lying perpendicular to the shore, its stern toward the lake; only the lower portion of the rounded stern was preserved.Â It was built in the known “shell first” fashion, with mortise and tenon joinery and constructed mainly of cedar planks and oak frames. 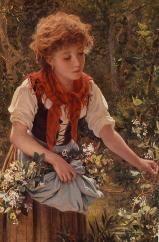 Much of the wood was in secondary use having been removed from older, obsolete boats. 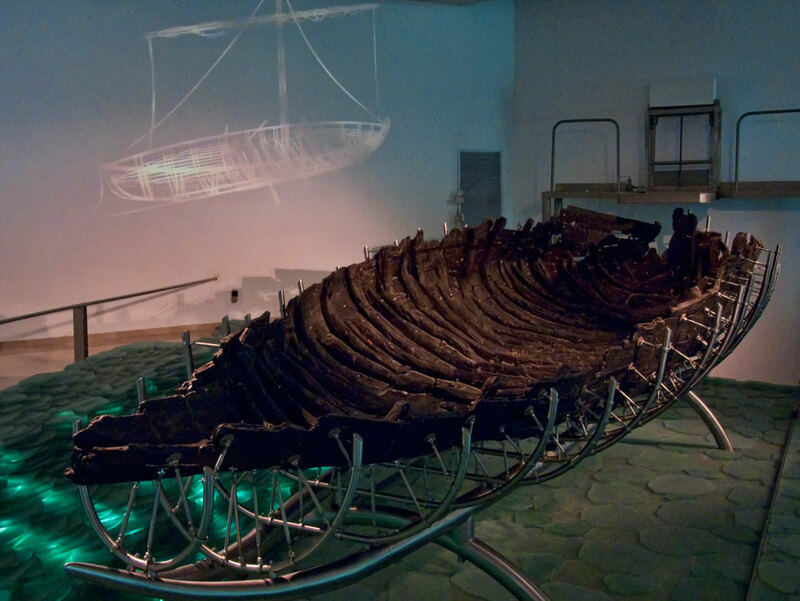 Additional wood fragments were uncovered nearby, attesting that the boat was found in a place that had served as a shipyard. It was large enough to carry 15 people, including a crew of five. Though apparently used for fishing, it may also have transported passengers and goods. By the construction techniques and two pottery vessels found near it, archaeologists judged that the boat was from the Roman period. Carbon-14 tests confirmed that the boat had been constructed and used between 100 BC and 70 AD. 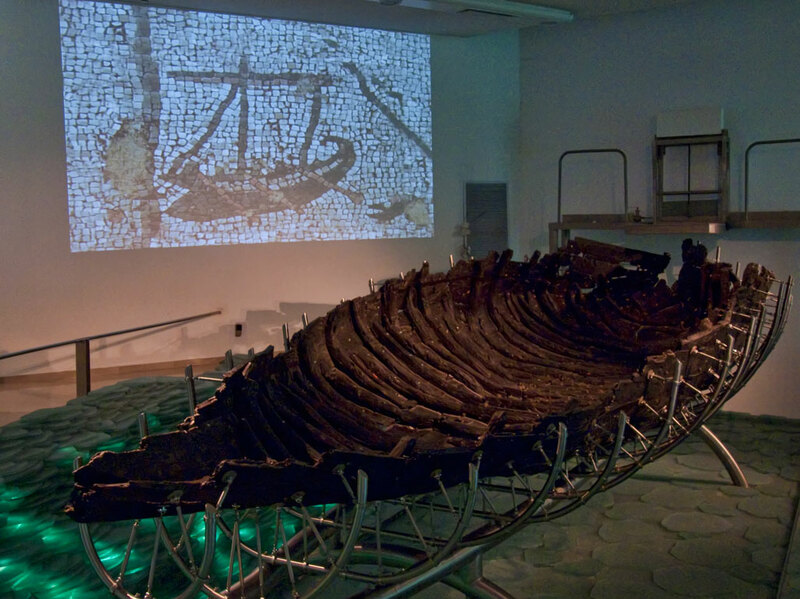 In the photos you can see two different projections on the wall.Â One is of the timber structure and the other is of a period mosaic of this style of boat. I asked Jennifer to stand behind the boat for a picture so that you could get a better idea of the size of the boat (and for her smiling face of course). Today, similarly built wooden sailing boats take tourists out onto the lake. I would like to use your picture of the “Jesus” Boat that includes your friend in a book that I am writing on Apologetics in Indonesian. Would you give me your permission to reprint? Hello, I’m sorry for the delay in responding to you. Yes, I would be happy to give you permission to use my photo. I’d appreciate it if you would credit the image to Rachelle Sperling. Thank you.